The WAGS (wives and girlfriends) and I are hosting a pot luck pumpkin carving party! Here is the menu for the night’s festivities. Links below to all the recipes should you make a few for your own October fêtes. 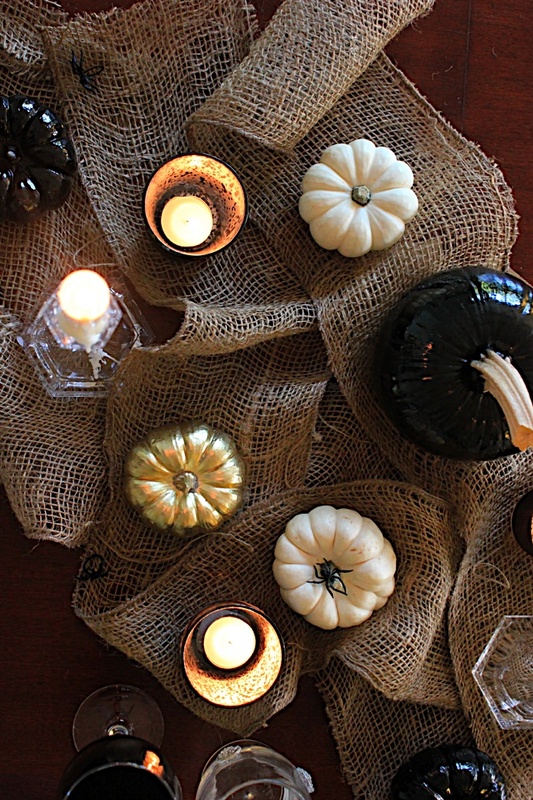 Look for a How-To post on creating a spooky-glam Halloween table on Monday, the picture above is just a sneaky peaky.